General discussion about the Elder Race, Life, the Universe and Everything. It's also interesting to note that Iceland had a prohibition on alcohol from 1915-1989 which, along with a lack of EM pollution there during that time, probably resulted in the many sightings compared to now, not to mention their being so far away from the bad influence of the church, allowing them to keep a lot of their traditional knowledge much like the Outer Hebrides in Scotland. Note how Steve now wishes he could have the encounter again but has failed to do so, probably due to his seeking it out instead of allowing it to happen. 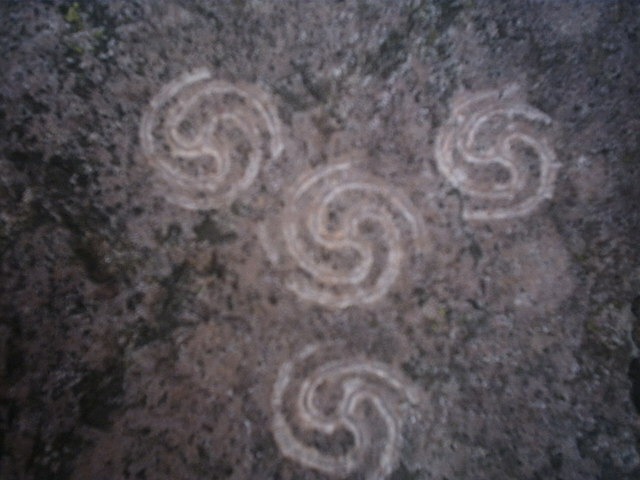 Interesting little bit of 'art' at the summit of Schiehallion. I have subsequently been back up the hill a couple of times, but could not find it again. It was located a few metres to the west of the summit. As if vandals would do anything as beautiful as this! 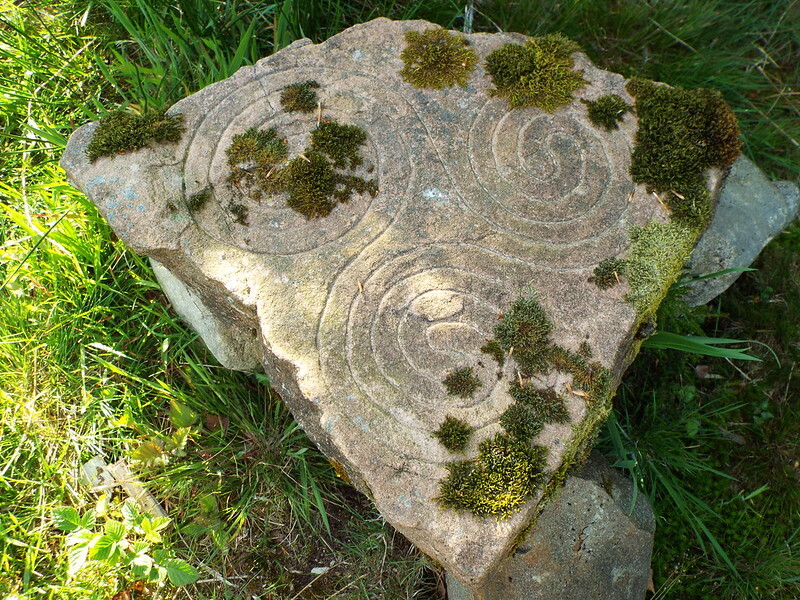 Is it possible that cup and ring marked rocks and celtic spirals signify a portal stone or similar? It's about the only explanation I can come up with, them being a key code or marker. In saying that i'm aware of another portal in Edinburgh that isn't marked and I don't think the LMs would have any requirement to mark a portal and make it stand out. Could the marks perhaps be, along the lines of the seashell triskelion, be left as a result of an LM teleporting into the other realm, the twisting of space-time leaving a mark even on solid rock? Jones: [looks at Sallah] You said their headpiece only had markings on one side, are you absolutely sure? [Sallah nods] Belloq's staff is too long. Jones and Sallah: They're digging in the wrong place!